‘Mindfulness’, a state of conscious awareness, is our mind’s natural ability to be present, with an attentional stance that is objective, receptive, whilst allowing one to not get caught into ‘identifying with’ or ‘taking personally’ what it is that we are aware of. (See John Barters ‘Five Factors of Mindfulness’MINDFULNESS AND MEDITATION. The conscious development of mindfulness through Meditation, and the application of it for developing greater clarity of mind and insightful understanding into the nature of our experience, has been the key element of Buddhist practice for over 2,500 years. Whilst mainstream psychological / psychotherapeutic / and counselling modalities have used elements of ‘mindfulness’ they have traditionally remained primarily ‘cognitive’ in approach. More recently health practitioners who have engaged mindfulness through Buddhist Meditation, have applied the use of Mindfulness in clinical settings, with positive outcomes for both physical and psychological issues/illness. Published evidence based research [eg. Kabat-Zinn, (1990) through the Mindfulness based Stress Reduction Program, and Teasdale, Segal, &Williams (1995) through the Mindfulness based Cognitive therapy for Depression], has brought the appreciations and applications of mindfulness, out of the Buddhist monasteries, and meditation centres into mainstream contemporary life and application. John Barter has been developing and deepening his Mindfulness practice for over 30 years, initially through his training as a ‘Theravada’ Buddhist Monk, and now as a Psychologist and Meditation Teacher. Through WELL-AWARE-NESS John provides ‘Mindfulness based Therapy / Training’. John describes this as a combination of Mindfulness training through Meditation, and the wisdom perspectives of traditional Buddhism, together with the understandings of contemporary MIND-BODY MEDICINE, Psychology and Psychotherapy. John uses ‘Mindfulness based Meditation Therapy / Training’ as an approach, therapy, and training in working with most issues and also illness, of either a psycho emotional or physiological basis. Sessions include counselling together with Mindfulness training through Meditation, as well as designing client / issue / illness specific meditations to suite particular needs. 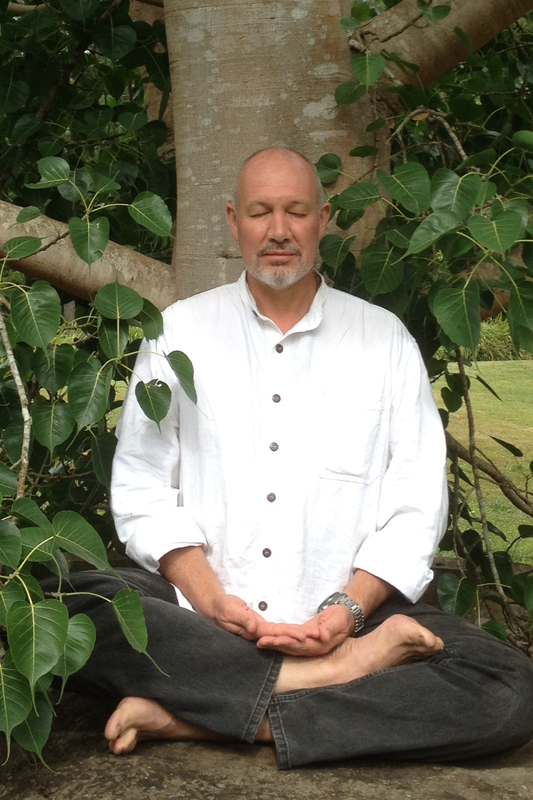 Some clients may see John purely for the purpose of Mindfulness Meditation Training, which may include the purpose of deepening or developing their already established Meditation practice.